Restore Ubin Mangroves (R.U.M.) Initiative: Happy New Year with R.U.M.! Happy New Year with R.U.M.! Meanwhile, here's a look back at what the RUMblers were up to at the end of the year: a clean up, supporting a Kampong Homecoming and sharing about R.U.M. at Clean and Green Singapore. On 10 November, Lisa Lim led a super large group of 31 volunteers who cleared and removed 120 kg of marine trash/debris (of which 39 kg are abandoned fishing nets) around the mangrove area and shore along the coastline off our restoration site at Kg. Durian. Bravo! In November, some RUMblers stepped up to support the great effort by Syazwan Majid to organise a homecoming for Ubin residents AND inviting the public to join in. There were kampong games, sharing kampong memories, kampong food and kampong photo booth! Learn more about his work on his Wan's Ubin Journal blog. Thanks to NParks for the invitation to share about R.U.M. 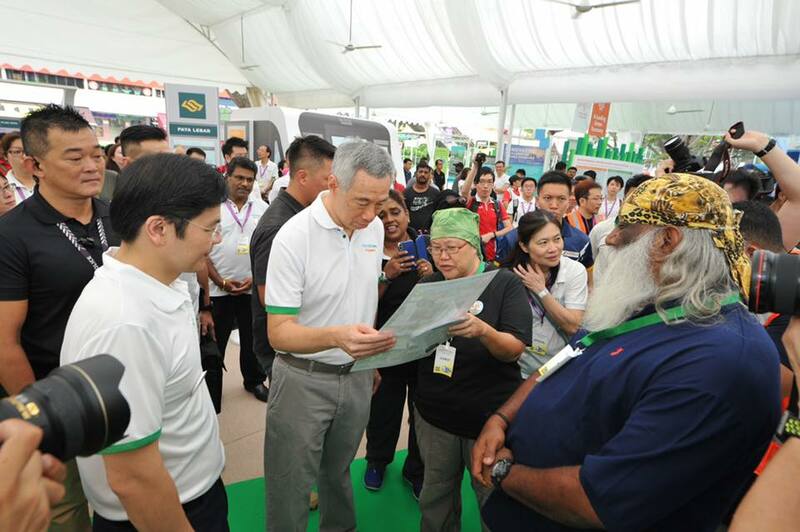 with the Prime Minister and other Ministers at Clean and Green Singapore in November. Thanks to Subaraj for making it so easy. And to Shamla Jeyarajah Subaraj for the awesome photos! And Azlin Sani for looking after us. More photos here.